I don’t know about you but I don’t like petroleum, except for the kind I put in my car. I really don’t like that stuff either, since it’s pricey and non-sustainable, but unfortunately my car won’t move without it. I certainly don’t want petroleum in my food (I’m talking to you, mineral oil), my beauty products (that would be you, petroleum jelly) or my household cleaners (stand up, petroleum distillates). I’ve replaced all store-bought cleaners with my Cleaning Cabinet Makeover and have been thrilled with the results. But I recently discovered a petroleum stowaway in the form of wood polish. How did I miss that? 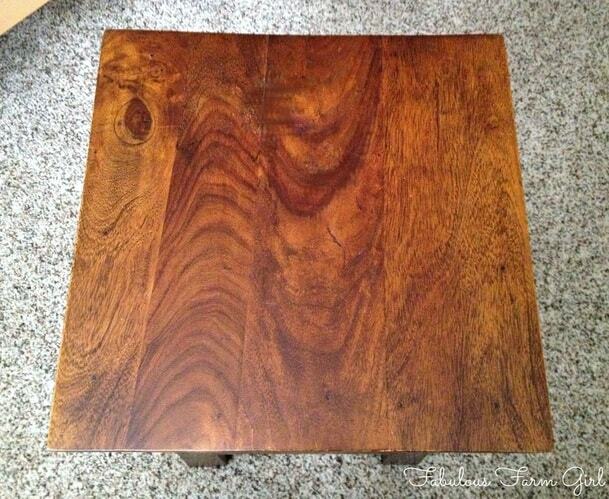 It was easy to overlook wood polish since polishing wood isn’t something most people do very often. By the looks of my son’s bedside table, I hadn’t done it in years. 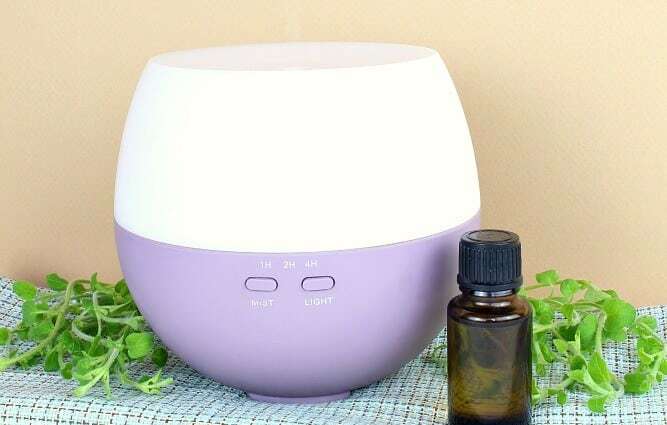 He runs a diffuser with essential oils in it almost every night to help him sleep. It definitely works and he sleeps great, but the moisture from the diffuser has not been so kind to the table. 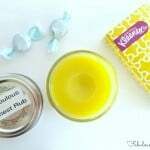 This wood salve is really simple to make and even easier if you make it in the container you’ll be storing it in. I used this half pint wide mouth mason jar. It’s super squatty and perfect for scooping out the wood salve. Just fill up the jar with the beeswax, put it in a shallow pan filled with water and bring to a boil. 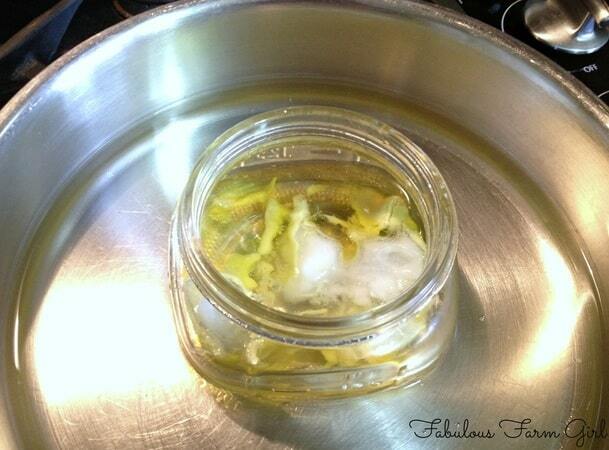 Once the beeswax melts remove from heat and add the coconut oil. Wait for the mixture to cool slightly before adding the essential oil of your choice. 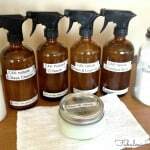 I used lemon but white fir or another woodsy EO would be nice too. Once it completely cools your ready to use it. Use a clean white cloth to scoop out the wood polish and rub a light coat all over the surface. Once covered, leave the room for a bit and go find some some laundry to do or a sitcom to watch. When you come back, just wipe the surface down to remove any remaining residue. Now stand back and be amazed. I couldn’t believe how much better the table looked. The before and after pictures do not do it justice. You only want to use this polish every few months to avoid any wax build up. 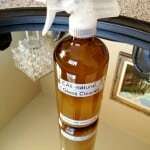 For regular dusting try my All-Natural Furniture Spray. There is nothing better than getting new furniture except, maybe, making old furniture look new again. On to the next table! Place beeswax pastilles in a 1/2 pint wide mouth mason jar. Place in a shallow pan filled with water, enough to reach about halfway up the mason jar. Bring water to a slow boil until beeswax is completely melted. Remove from heat. 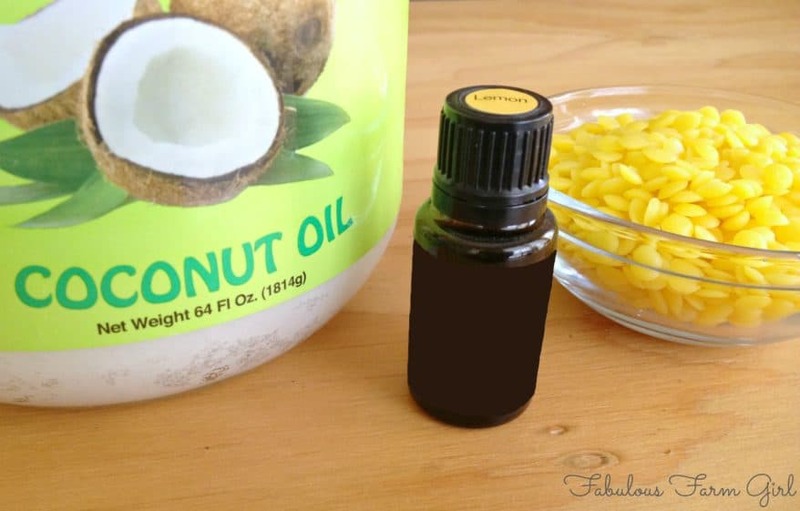 Add coconut oil and stir until melted. Allow mixture to cool a few minutes then add essential oil. Let cool for several hours before use. 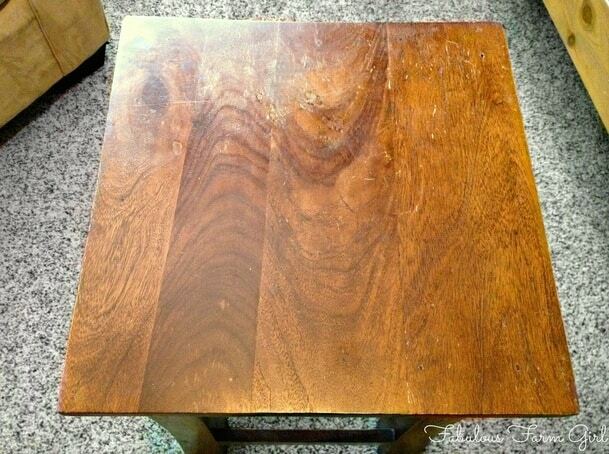 To use–Use a clean white cloth to apply a thin layer of wood polish all over wood surface. Rub in a circular motion for a few minutes. Let stand for 20-30 minutes then wipe down surface with another clean white cloth to remove any remaining residue. Note: If you get any of this wood polish on your skin, just rub it in. 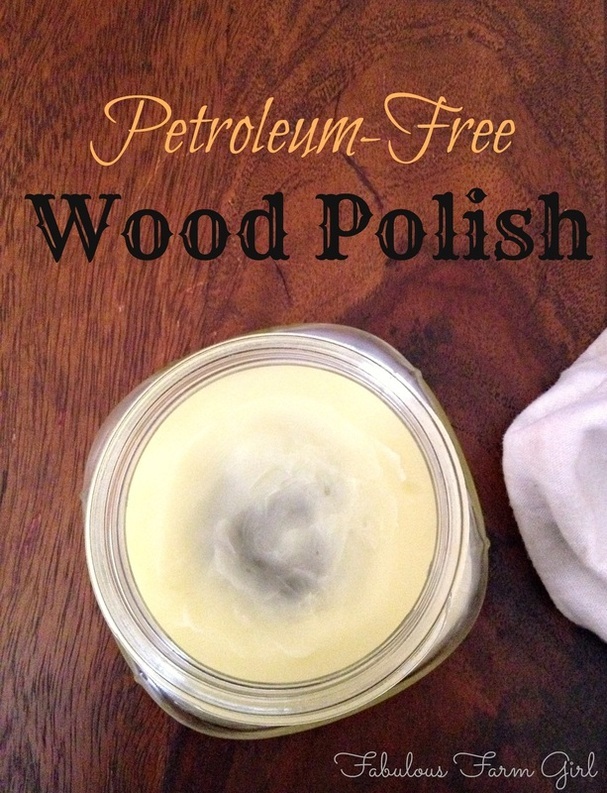 It’s not just great for moisturizing wood, it’s great for moisturizing your skin too. 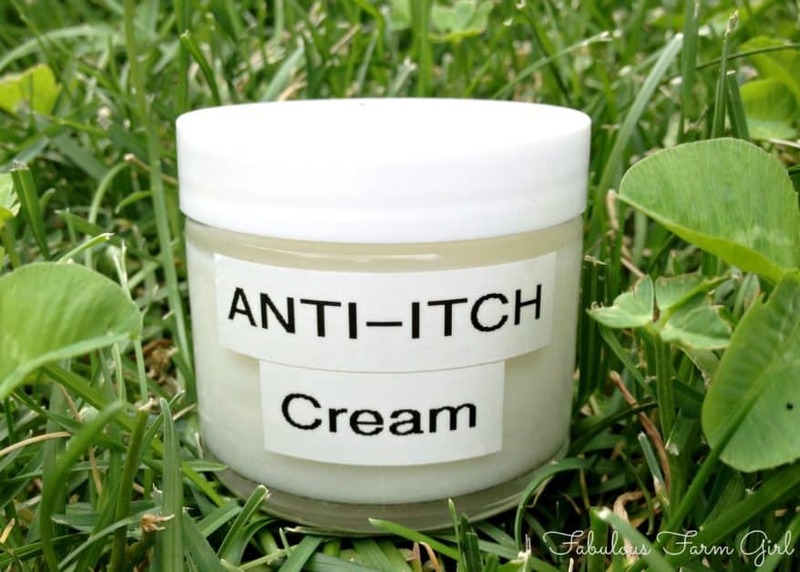 Another Note: If you want a great skin salve go here. I use a cedar oil in mine – it really makes it smell yummy! Hi Heidi–thanks for stopping by! Cedar wood is one of my all-time favorite smells so I will definitely be using it next time. Have a fabulous week! I was very happy this worked so well. I had dusting on my to-do list for today so I made this polish and went to town. My whole house looks and smells great! Thank you so much for sharing it with us. You’re so welcome Tracy! When I first made the wood polish that’s what happened to me too. You know something works good when it makes you want to keep cleaning. LOL! Thanks for stopping by! 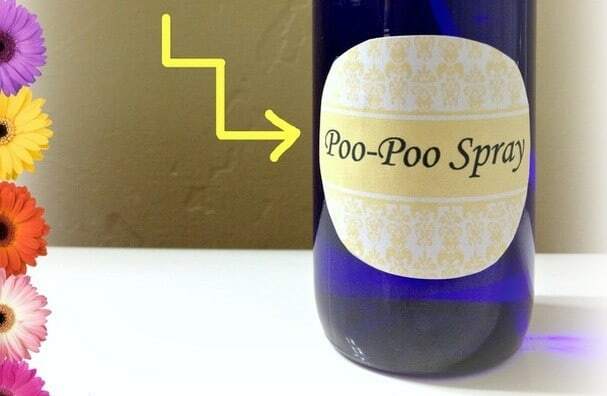 could you use this concoction on wood floors? Hi Dawn–thanks for your question. I don’t have wood floors so I haven’t tried it but my guess is that it should work fine. If you try it let me know. Have a great week! i would be concerned about it making floors too slick. Just had an experience this weekend where my 9 yr old wanted to dust and ended up spraying the furniture spray on the wood floor. Well mom bit it big time because it makes the floors really slick. I’m definitely going to be making this for my furniture but would be interested if anyone has tried it on their floors. Hi, didn’t know where to ask this question – Will you be doing a recipe for cleaning hardwood floors, not laminate, but original like what Endust or Zen does? I didn’t see a recipe for that, maybe I’m missing it. Oops, sorry, just saw basically the same question above in another post albeit not a spray.